This particular day, we decided to take it easy and just relax. 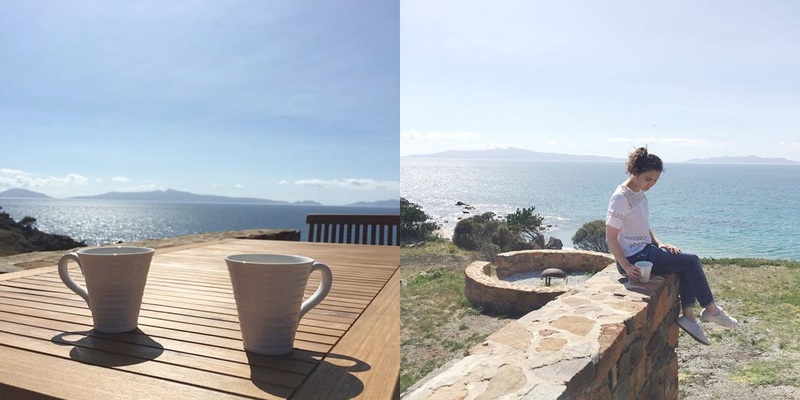 We had a slow start to the morning, enjoying a cup of tea outside and appreciating the amazing view. We were staying at Hamptons on the Bay* in Swansea, and it's such a beautiful place. We then went for a walk down to the beach, and later decided to check out Kate's Berry Farm, which was just a short drive from where we were staying. 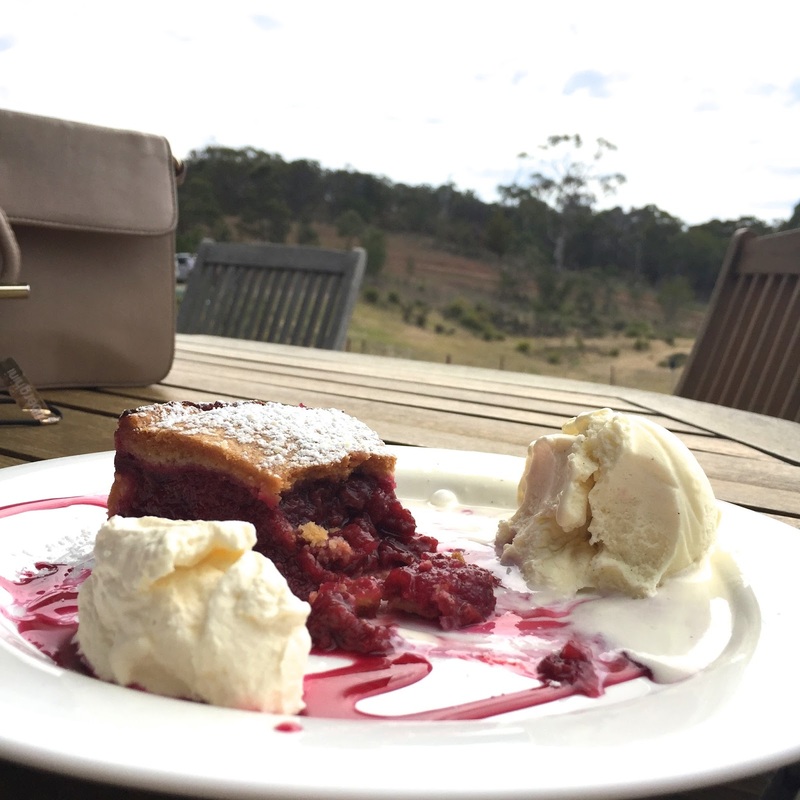 Here we had the yummiest raspberry pie I have ever eaten - I highly recommend it! As usual when it comes to relaxing days, I opted for wearing my comfy boyfriend jeans and paired them with my favourite white top. I've probably raved about this top numerous times already, but it really is my failsafe - "just throw it on and feel fabulous" top. That lace detail gets me every time - it's pretty and feminine, but not at all fussy, and helps make a very simple outfit that little bit more special. Do you have a particular piece like that in your wardrobe? Anyway, I hope you have a great Sunday! That sunshine is making me mega jealous. As is the fact that your family have that amazing place! How lucky to be able to go there and escape it all. Also your outfit looks great, very cool and classic.